Presented by Wright State University and Five Rivers MetroParks, The Adventure Summit is a celebration of this culture and is instrumental in bringing the Dayton region’s outdoor community together each winter with a focus on outdoor skill, culture and experience. This year’s event is scheduled for February 9-10, 2018 at Wright State University and is expected to draw more than 5,500 participants and visitors. The Adventure Summit offers an impressive lineup of presentations, instructional programs and adventure competitions in kayaking, bouldering, canoeing and running that has the Dayton area and several other large metropolitan areas buzzing about the event. 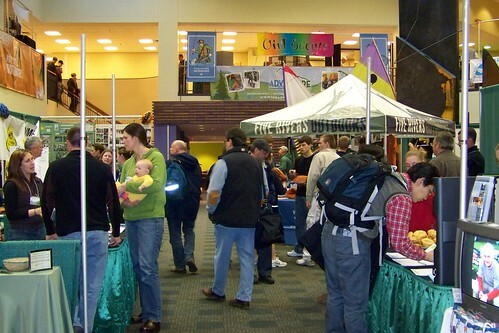 Located within a two-hour drive of 8,000,000 people in Cincinnati, Columbus, Toledo, Lexington, Louisville, Huntington (WV) and Indianapolis, this event offers access to these markets through aggressive advertising, grass roots marketing through clubs and associations, regional special events, and trend-setting adventure facilities. Contact Angela York, special events coordinator at Five Rivers MetroParks, at (937) 274-3171 to discuss sponsorship opportunities. Or email events@metroparks.org.